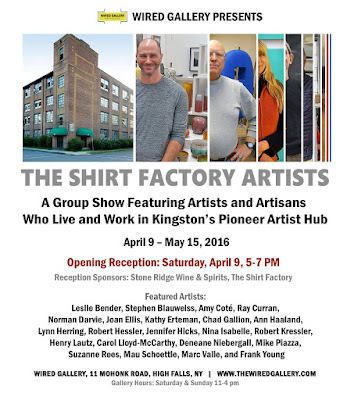 I am now settled in my new studio located in the Shirt Factory building in Kingston NY. The studio is a wonderful light filled space with comforting sounds of the passing train several times a day and a community of artists working quietly behind their studio doors. New work has begun and with plenty of space and the addition of a large oval Bailey kiln, I am excited to see what comes next ! 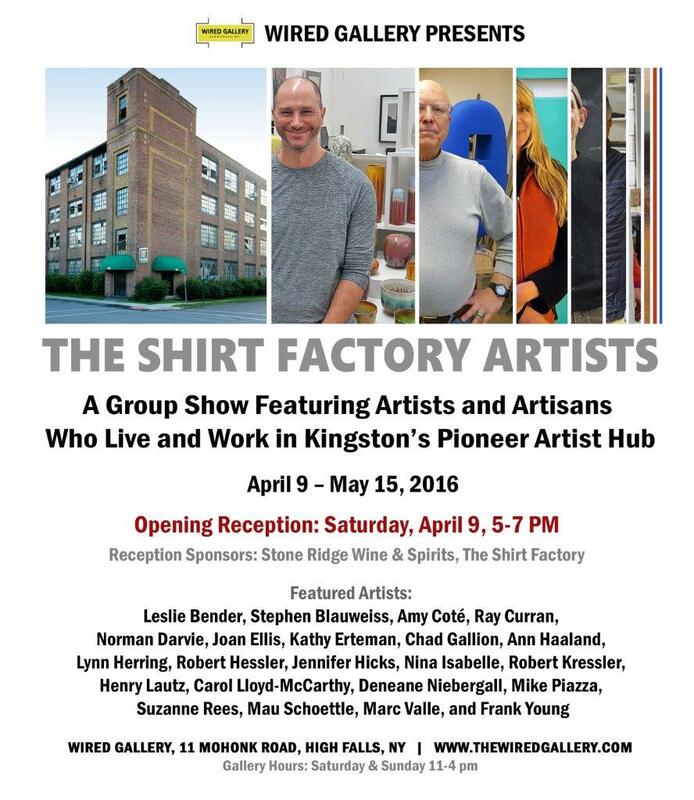 Last night an exhibition showcasing the work of 22 Shirt Factory artists opened at Wired Gallery in High Falls. A steady crowd packed the gallery during the opening and it was great to see so many old and new friends and supporters.